"All life is a dance. There are many forms of dance. The movement of the atoms is a dance. The universe is a dance. The entire cosmic manifestation is an extraordinary rhythm of dance. The divine rhythm has called the world into being. It is this rhythm that preserves the world and that guides it to the experience of perfection. The dance of the Divinity is step by step an unfoldment of creation. "The Divinity is the source of all genius, all art, all music, all beauty, all experience of bliss. This Divinity is your father. He is the soul of your soul, the creator of the universe, Lord Shiva. His name is Nataraja. He is the true dancer. From Him emerge all the rhythms and subtleties of movement. All creation is His dance. He is the infinity of consciousness. He is the infinity of beauty. He is the infinity of truth. "Every little gesture of the hand, every mudra has a deep meaning – the entire philosophy of life is contained in these gestures. They convey a whole history of God’s self-manifestation in the universe. source of the highest music"
"Even the greatest sages, whom we expect to be above all emotions and feelings, and whose character and conduct is indescribably dignified, are prompted to dance by the Divinity Itself. God is full of love and tenderness. "What you need is a true dance, a dance that springs from deep love and devotion. Dance is our nature. You are a child of infinite bliss, a child of Nataraja. 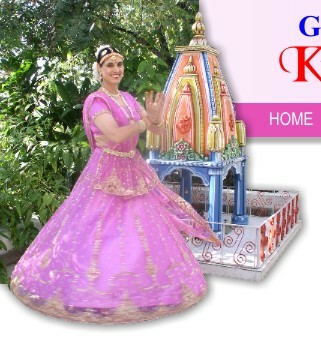 "God is the aim of the Indian classical dance. It is an education in itself. This form of art is a gift of God and a way to God-experience. It can bloom into its full beauty only by the grace of God. 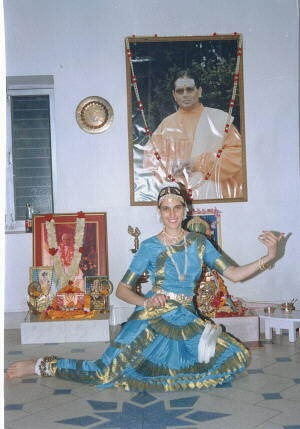 "The soul of this dance lies in the hands of the Divine. Be a great devotee of the Divine and you will know all its secrets, all its metaphysics." Copyright © 2018 Omkarananda Ashram Himalayas. All Rights Reserved by Omkarananda Ashram Himalayas.